May 8th in Wordpress Plugins by Wordpress Jedi . WooCommerce is one of the best WordPress e-commerce plugins. It makes it so easy to accept payments and start selling goods and services online. You can always add more extensions to offer more value to your visitors. Volume Discount Coupons is one of those. This plugin lets you offer your customers a discount if they buy more from you. You get to promote your deals to let your visitors know how many items they need to buy to get a discount. Volume Discount provides automatic discounts and coupons based on the quantity of a product in the cart. You can let your customers know how they can qualify for your discounts. You can show the coupon description and volume discount info for products on your chosen pages. 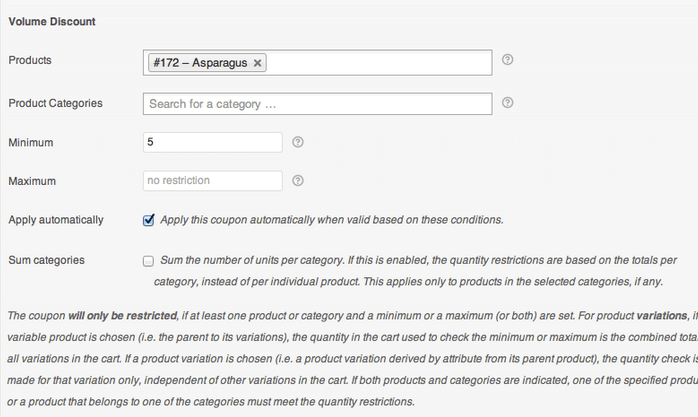 The extension is highly customizable, so you can change minimum/maximum quantity criteria to qualify for your coupons. 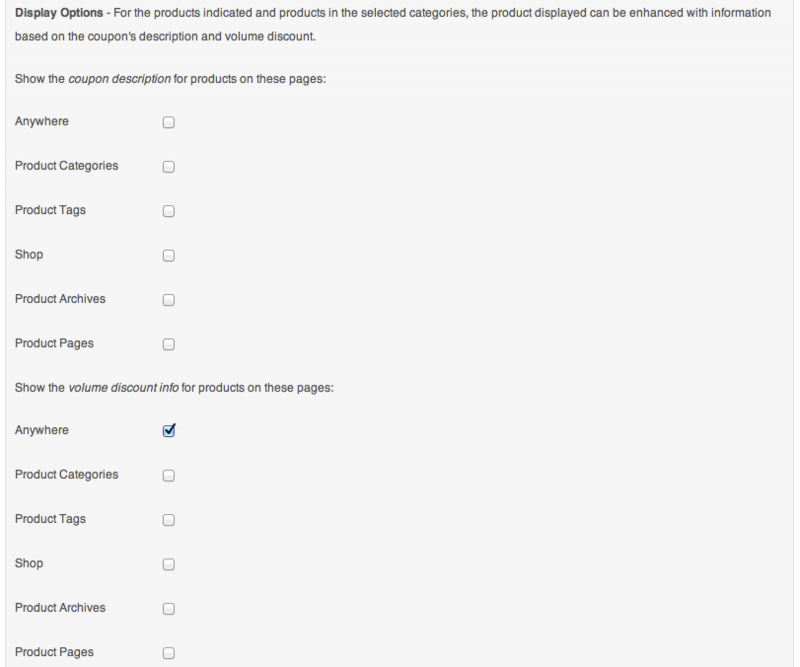 Volume Discount is highly customizable and lets you limit coupons to certain products and categories. It could potentially increase your sales, so there are very good reasons to test it.